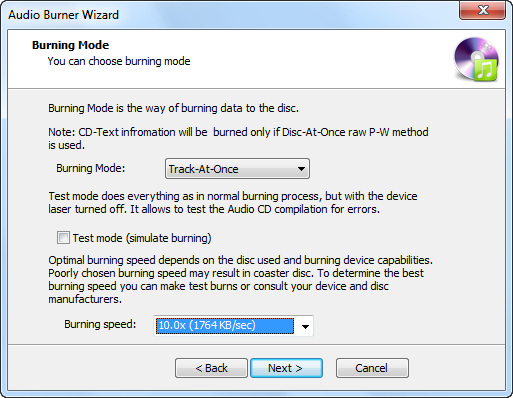 It is very convenient to select the burning mode and the appropriate burning speed just by clicking corresponding buttons. You can use “Test Mode” to simulate burning to check errors in order to avoid of bad burn and repeat work. In this condition, it makes you feel easy and at the same time, saves your much precious time. Easy to use interface with big buttons to activate all tools. You can achieve all operations only by clicking.